A school dining hall is a hub of activity on any given day; it’s the place where students and teachers alike go to rest, eat and socialise during their breaks. Being the go-to place for a moment of relaxation amidst a busy day of learning and teaching, it’s important that the school dining room is a pleasant environment that is bright, airy and inviting. 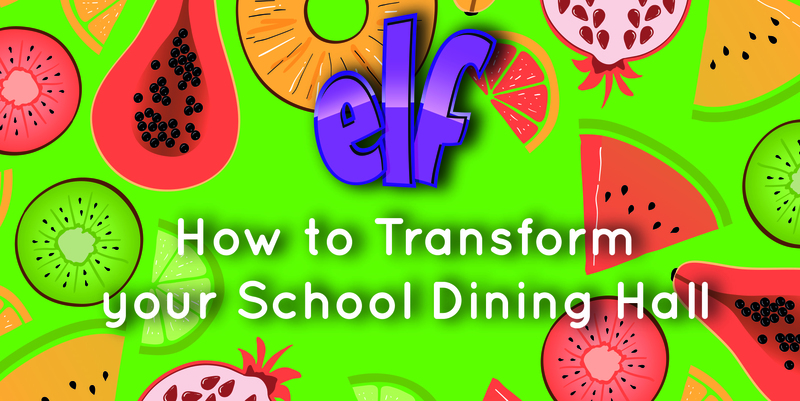 Simply upgrading your school’s dining furniture can instantly give your canteen a fresh look, and it’s not as expensive as you’d think. Here at ELF, we are experts in educational furniture and supplies. We realise that many schools don’t have enough space to have a specially designated lunch room, which is why we have engineered our dining furniture range to include a comprehensive choice of folding tables. 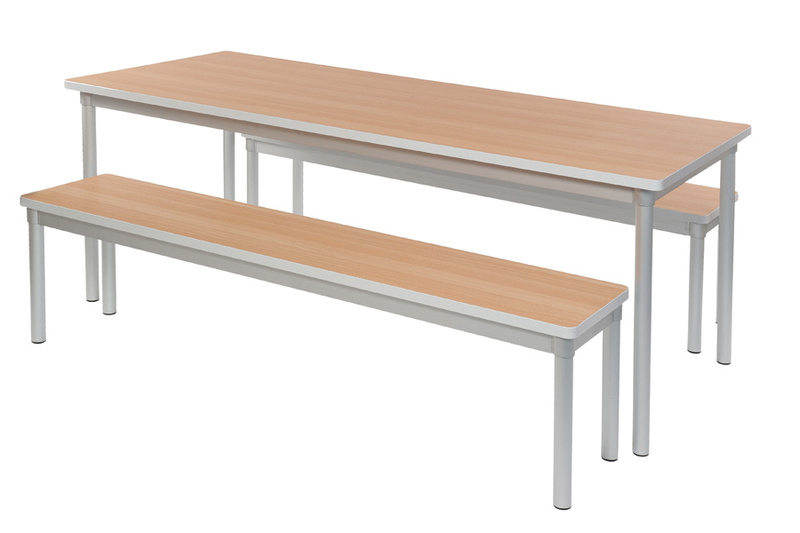 Our Rectangular Mobile Folding Table Seating Unit is our bestselling school dining table. It comes with a choice of eight, 12 or 16 seats and is available in a choice of two heights depending on the number of seats you opt for. The eight-seater and 12-seater come in two heights each, making them suitable for both primary school and secondary school pupils alike. The 16-seater comes in one height and is suited towards primary school children. As well as a choice of sizes, the rectangular folding school dining table also offers you a choice of 10 seat colours and threetabletopp colours so that it perfectly matches your school canteen. We recommend this table to schools who use their dining hall for other things as the table has three safety locking positions which allow it to be folded and wheeled away easily. The stow-away locking position is the ideal position for when you need to store the table away when the dining hall is being used for other things. This means the table is fully folded for storage. The open safety locking position is designed to prevent the table reverting back to the folding position. This position is used when you are transporting the table between locations. You should use this position instead of the secure locking position as it will prevent the table from tipping over when in transport. The locking castor wheels ensure that the table cannot be moved when it is in use. The easy clean locking position partially folds the table just enough to allow easy access underneath for cleaning. This large dining table eliminates the loud screech of noisy chair legs and helps to save space. 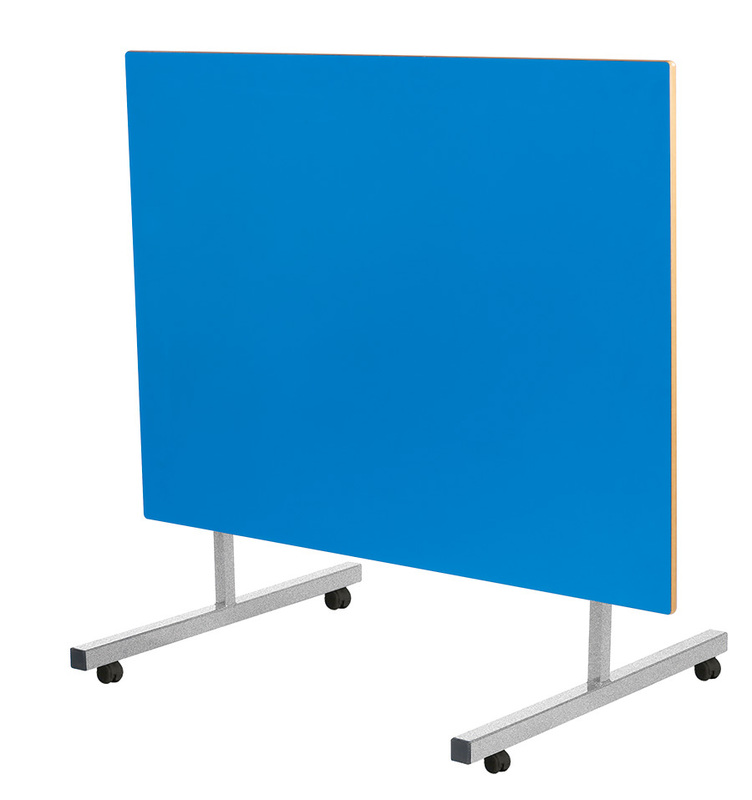 It is fully FIRA certified and so is perfect for helping to rejuvenate your school dining area. The Tilt Top School Dining Table range is a more budget-friendly choice of folding mobile tables. These tables are extremely popular because they come in a choice of four heights, making them ideal for mixed aged schools where younger children eat at the same time as older children. Tilt Top tables come in either a square, circular, oval or octagonal shape. You can also choose from 10 tabletop colours. By adding different shapes and different colours, you can instantly refresh your school dining room without spending lots of time decorating and lots of money on furniture. The table top folds up flat and the four locking castors allow for easy transport between rooms. If you are looking for a more permanent solution and don’t need a folding dining table, the Enviro Dining Bench is a great option. It is extremely cost-effective and is popular among larger schools and colleges with higher numbers of students. The choice of six heights makes it ideal for all age groups. The seating benches are available separately and easily slide under the table for tidy storage at the end of the day. Once you have your table sorted, your dining hall should instantly look like it’s been given a new lease of life. All of our tables are accredited with the relevant safety certificates so you can rest assured that they are safe, comfortable and non-hazardous. If none of the tables mentioned above are suitable for your school dining hall, get in touch with a member of our sales team on 01733 511121 to learn about our other options and what else we can offer you.